A continued dedication to treating people fairly has now been officially recognised by the Living Wage Foundation. What is the Living Wage Foundation and Why is it Important? The Living Wage Campaign is a movement of Independent businesses, organizations and citizens who share the same simple idea: that a fair day’s work, deserves a fair day’s pay. A living wage is a minimum income necessary for a worker to meet their basic needs, without some form of government assistance or use of food banks. Needs are defined to include food, housing, and other essential needs such as clothing. It is the only rate actually based on real living costs. How Is the Living wage different from the minimum wage? The living wage is different from the minimum wage in that the latter is set by national law and can sometimes fail to meet the requirements to have a basic quality of life (particularly in more expensive to live areas) which leaves the family to rely on government programs for additional income, and therefore this is an important standard to adhere to, especially when being based in Central London. How does my business sign up? 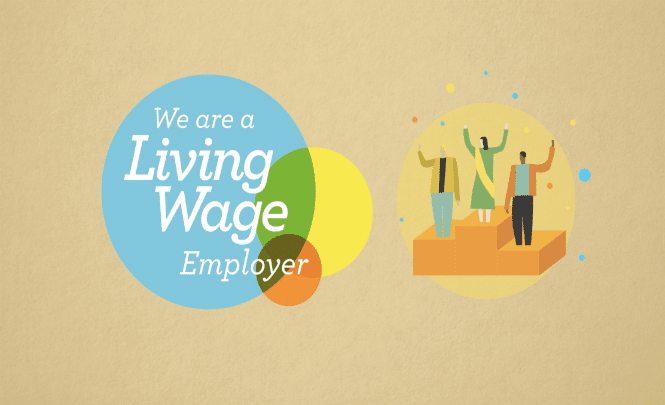 At 93digital, we have recently signed up and committed to this endeavour, and are now Living Wage accredited. Not for any other reason than it’s just the right thing to do. So we don’t want to go overboard and give ourselves an almighty pat on the back, however, we do want to more businesses to sign up, which they can do here. That way, you can join behemoths such as Ikea, Nestle, and 93digital, in showing not only with words but with their wallets, that these are organisations and companies that care about their employees. To find out more, we urge you to take a couple of minutes to watch these two videos.